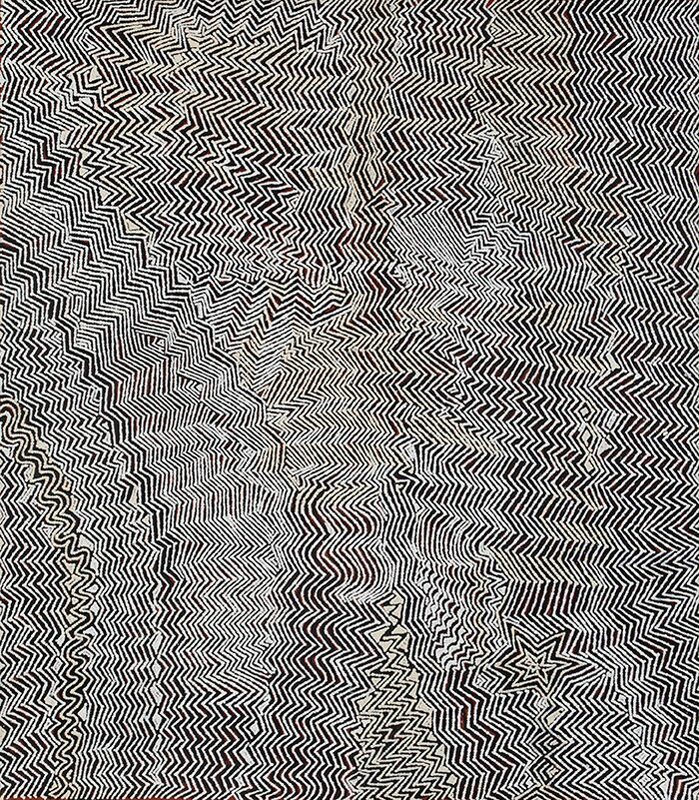 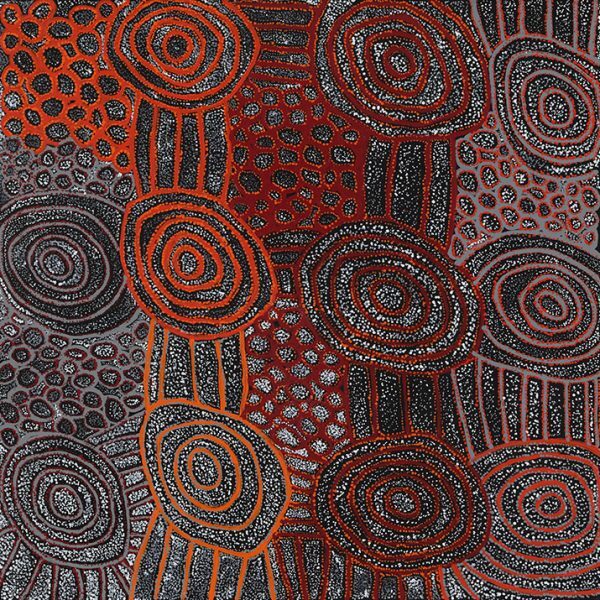 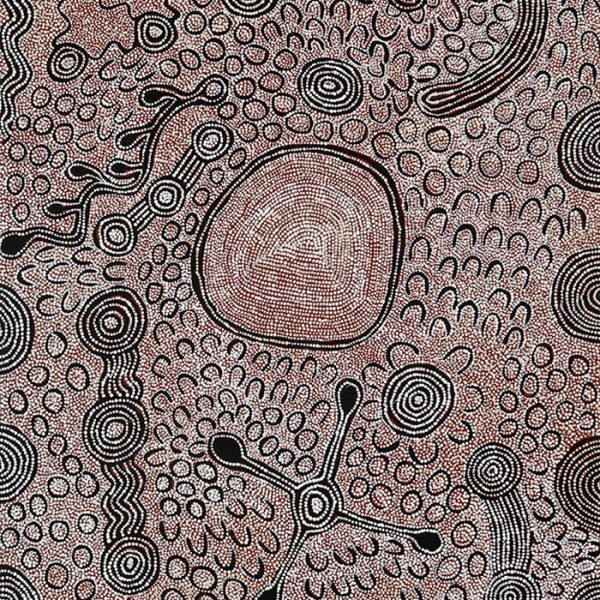 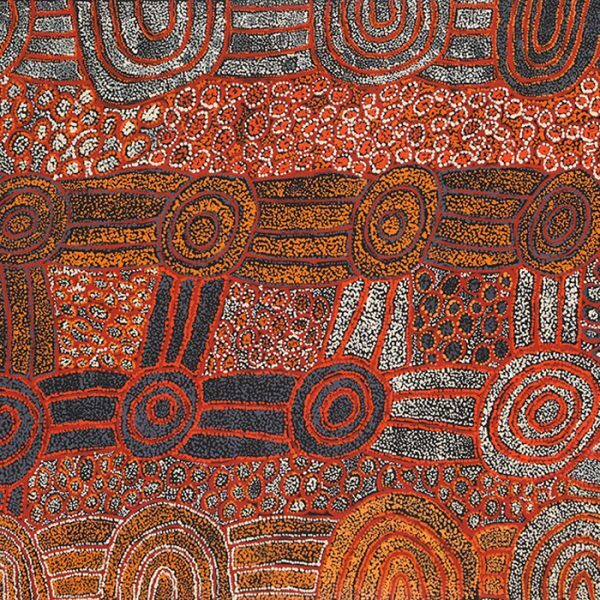 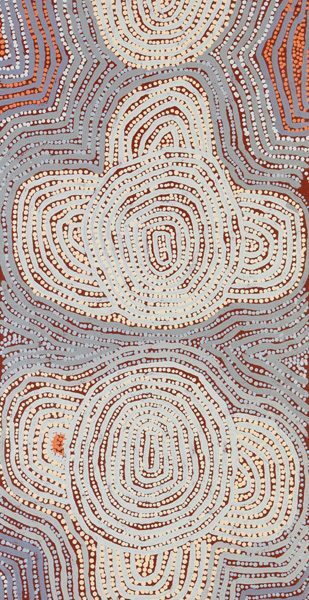 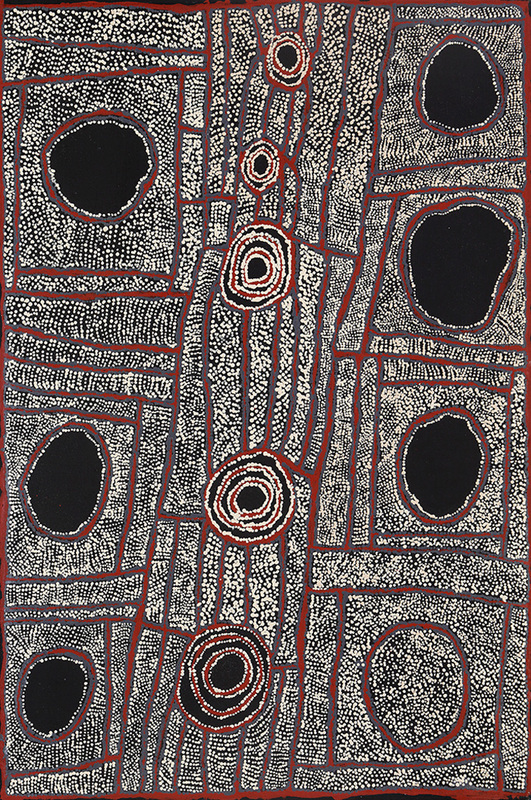 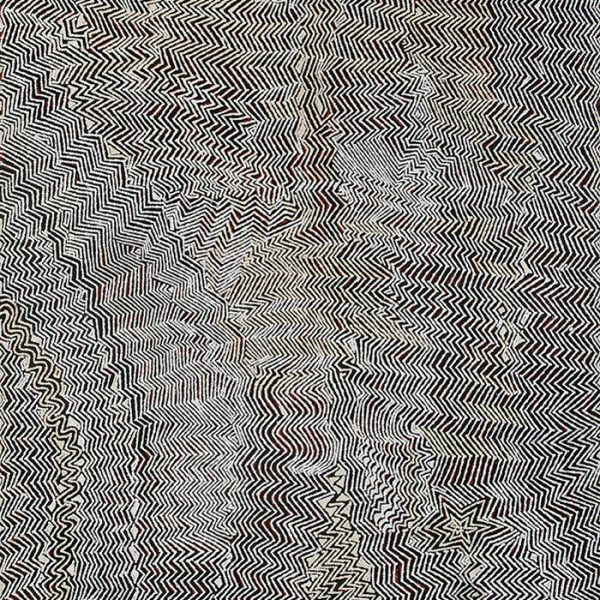 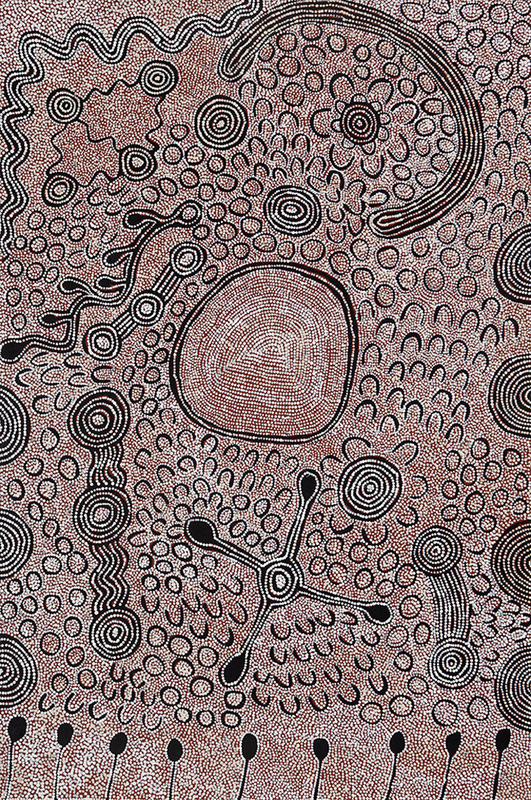 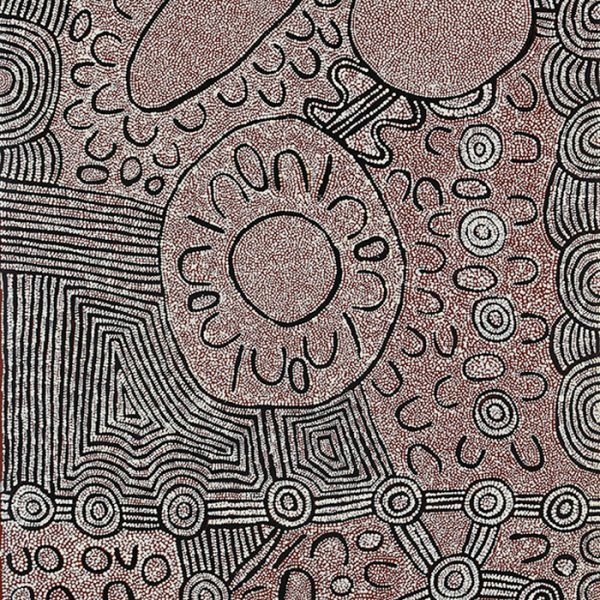 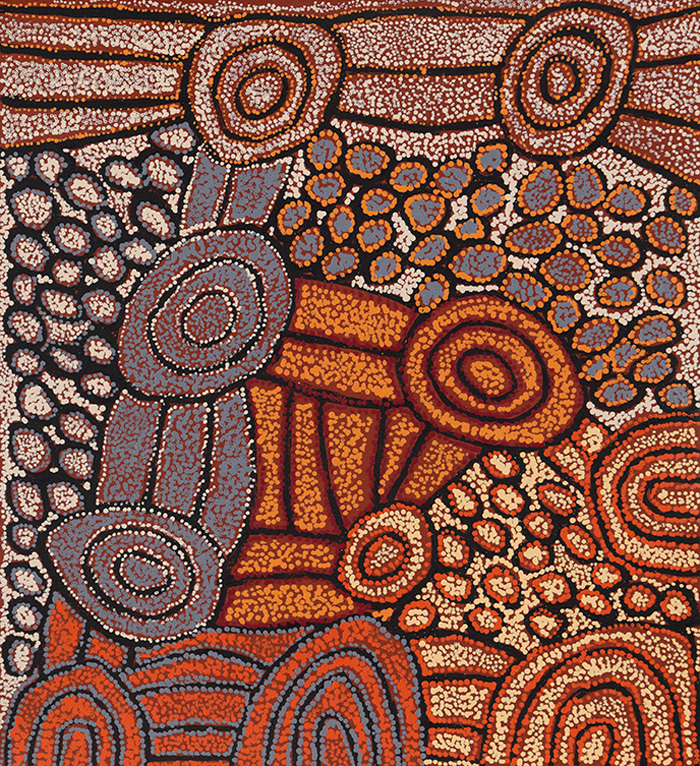 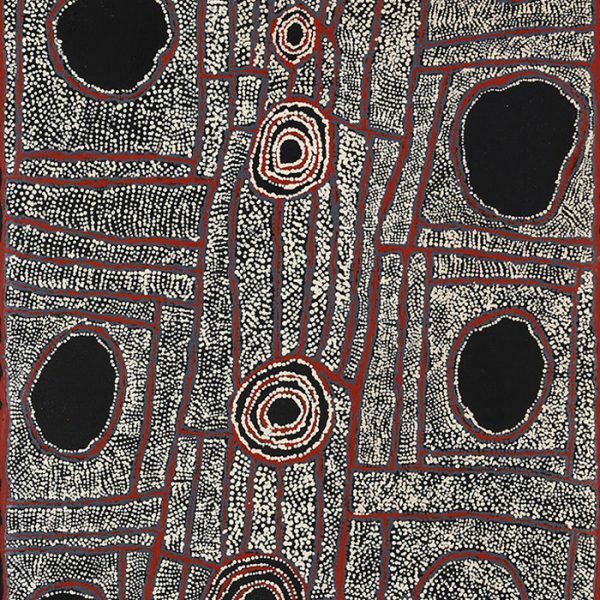 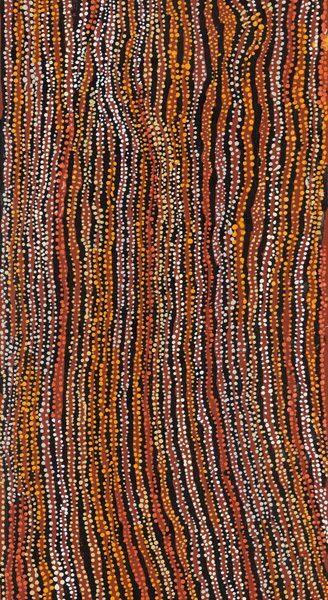 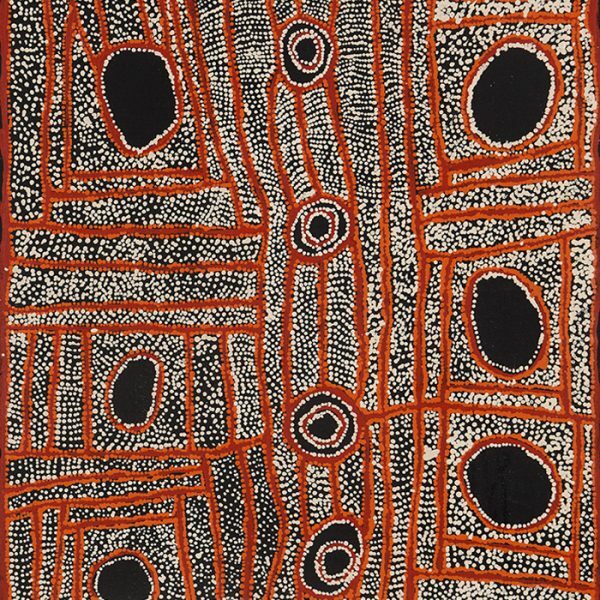 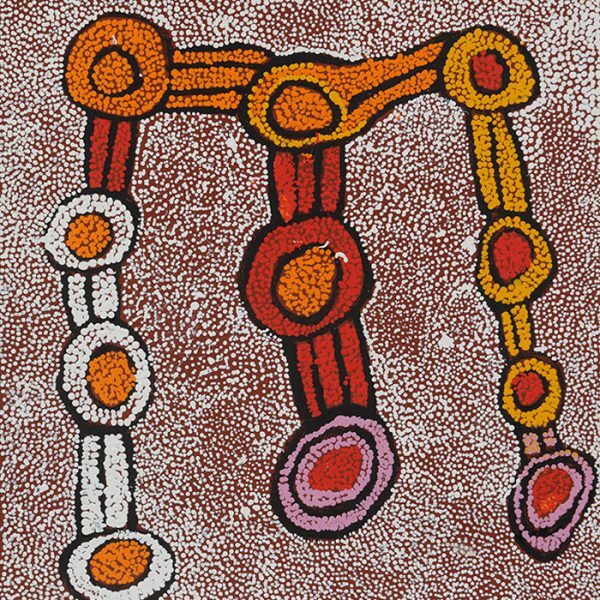 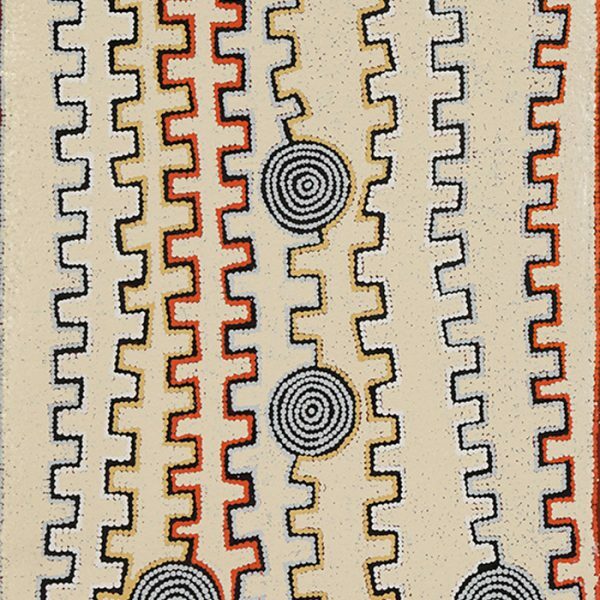 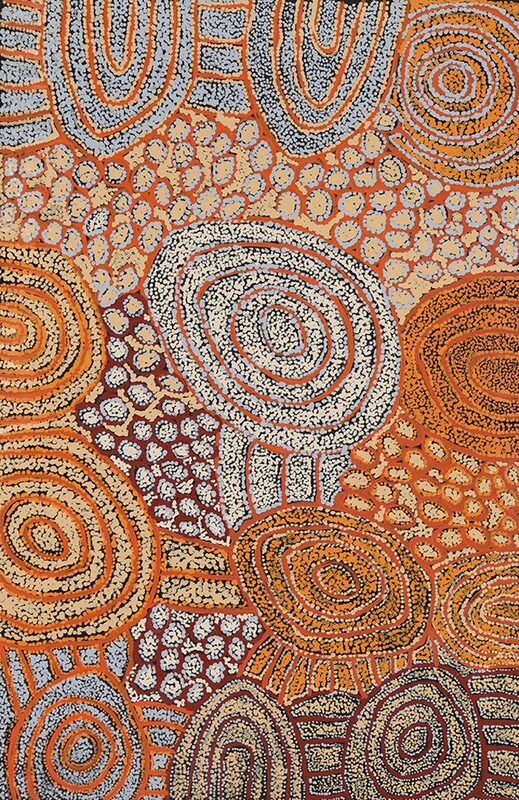 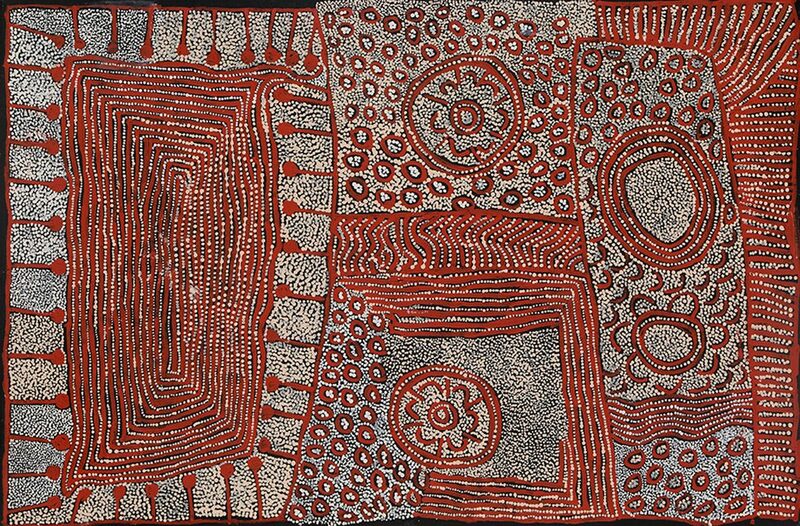 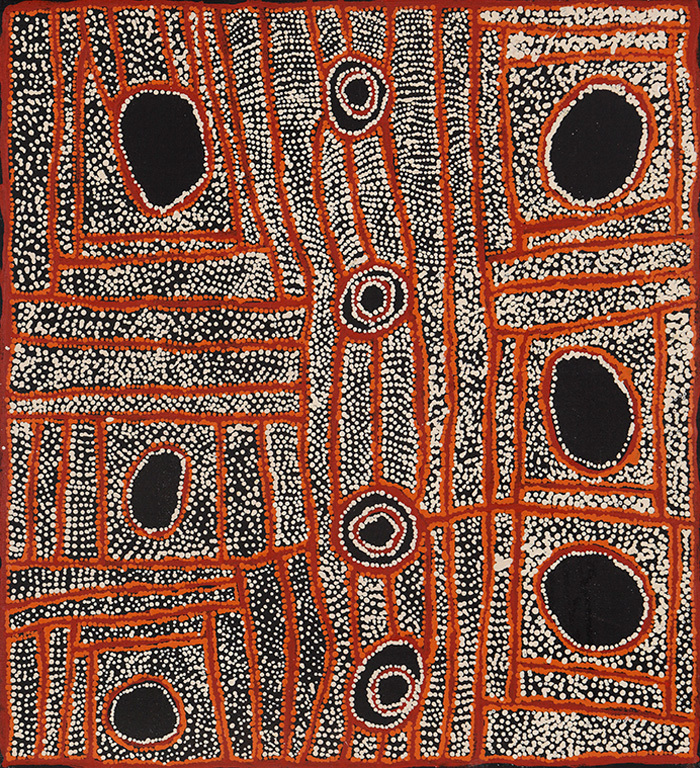 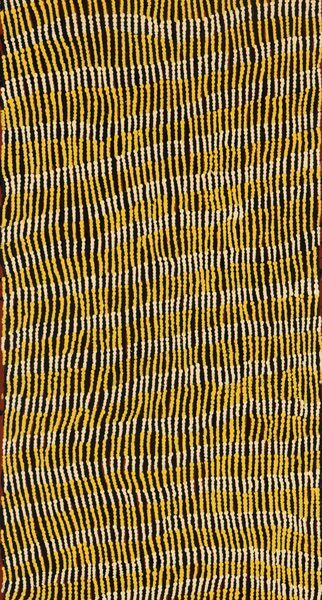 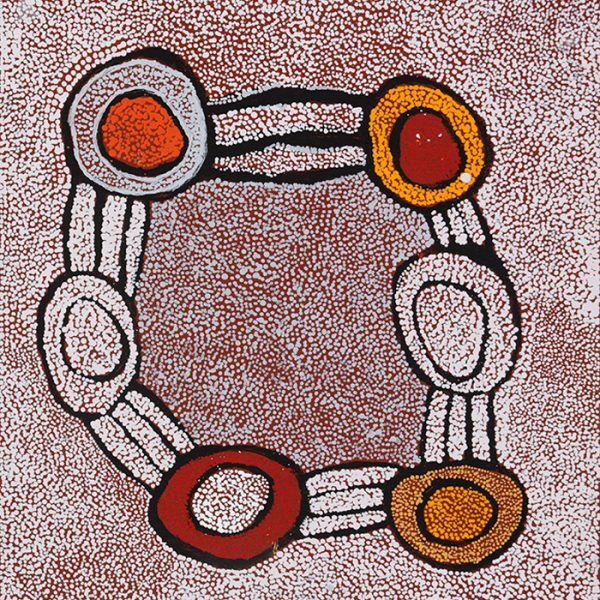 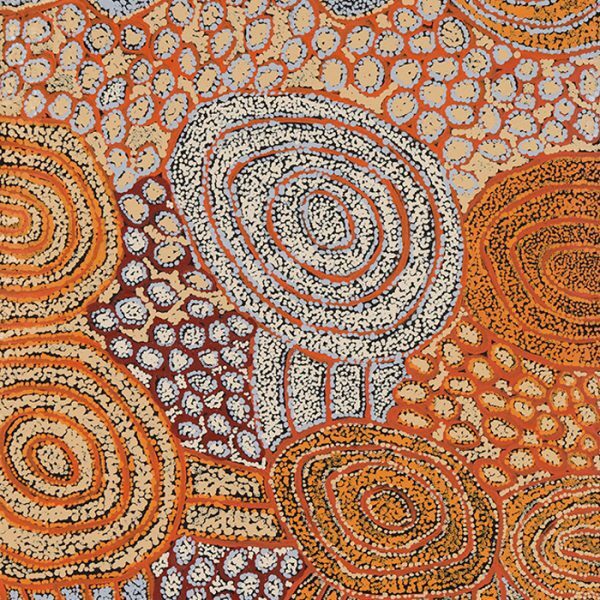 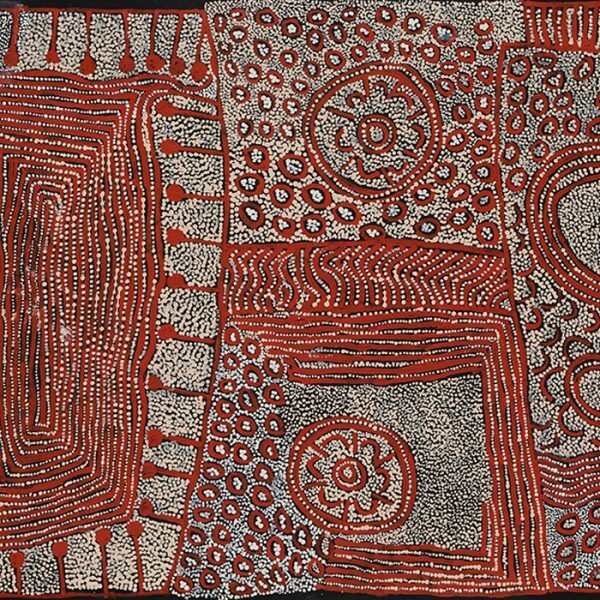 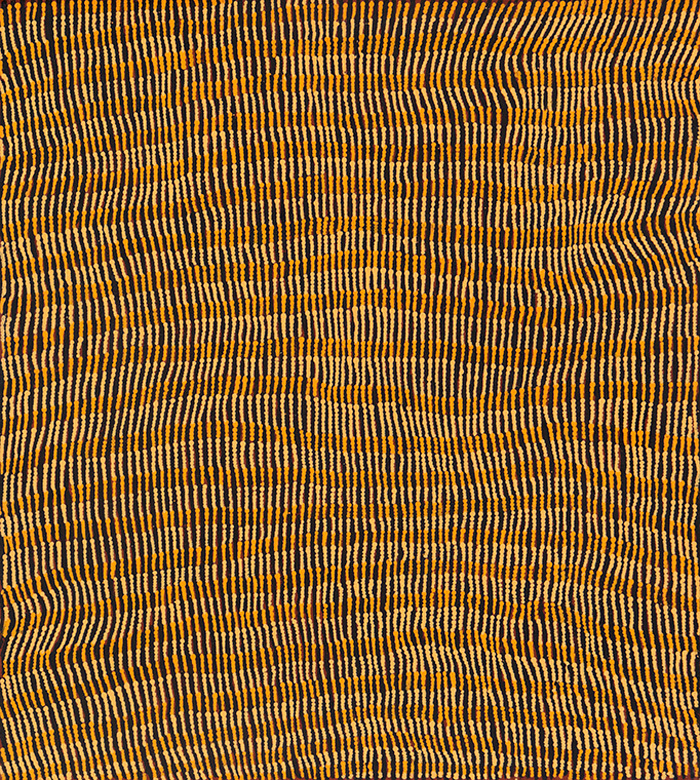 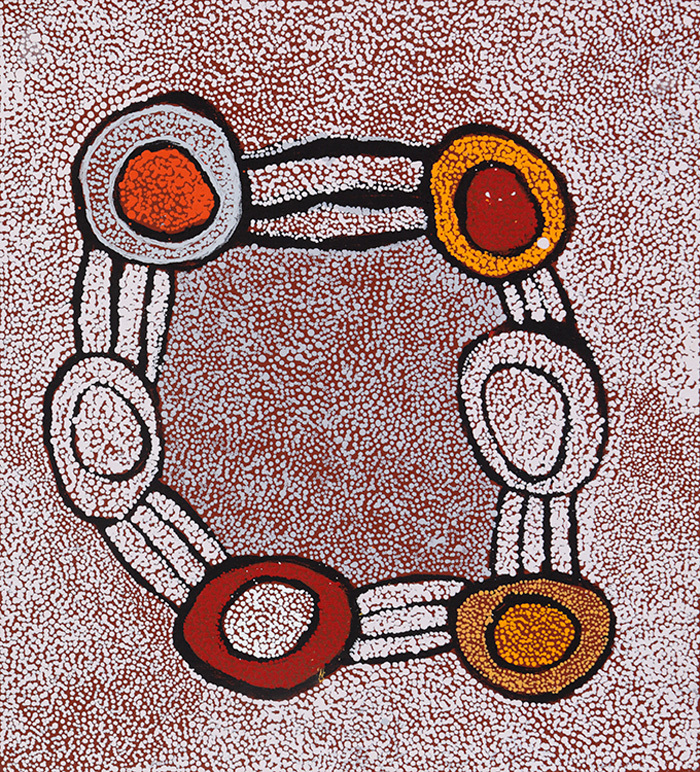 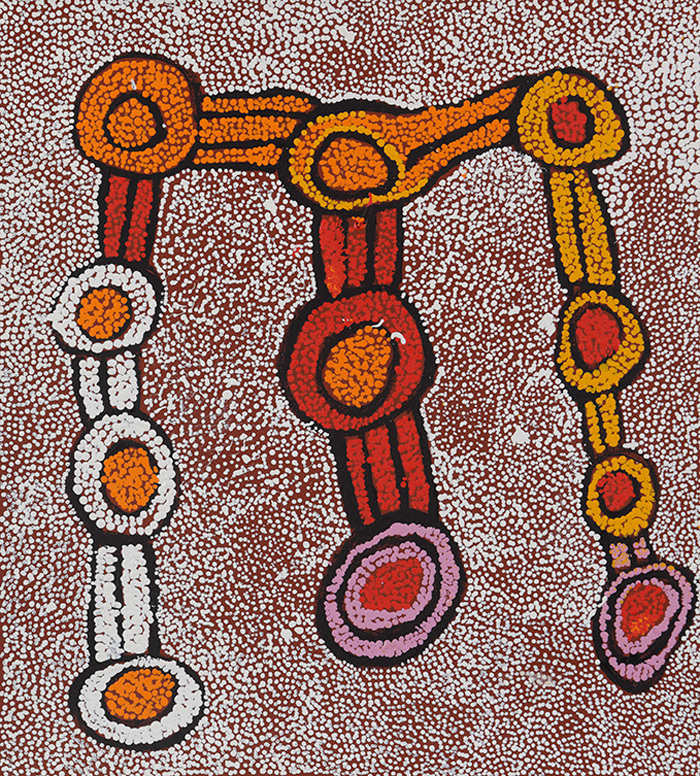 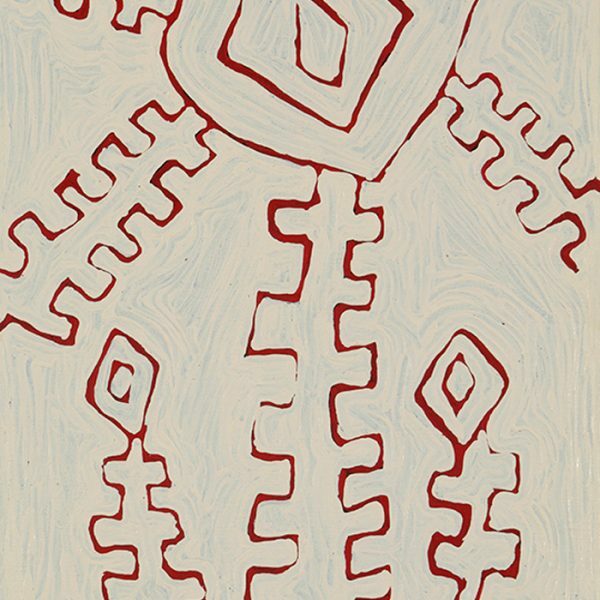 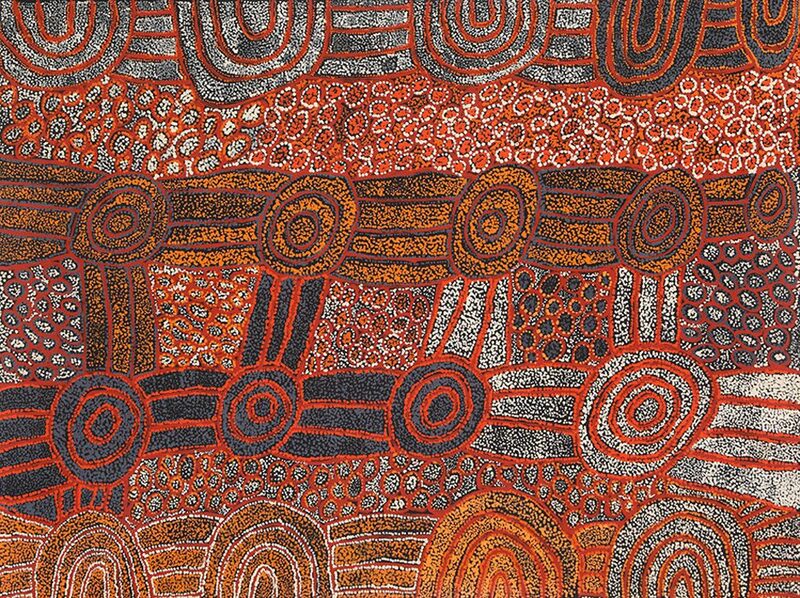 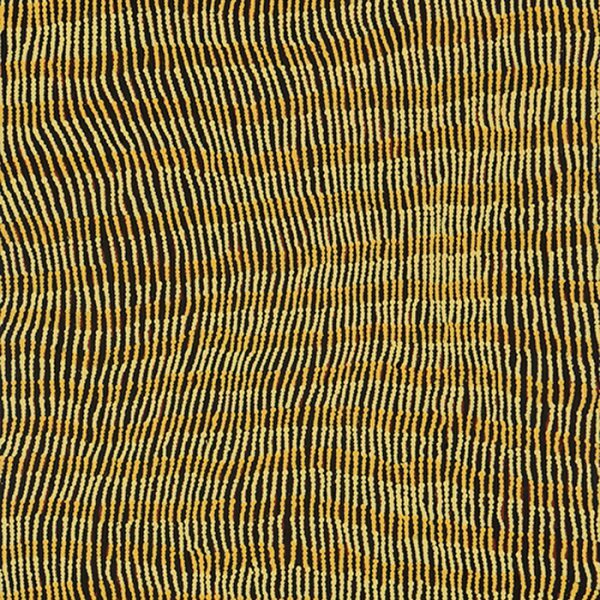 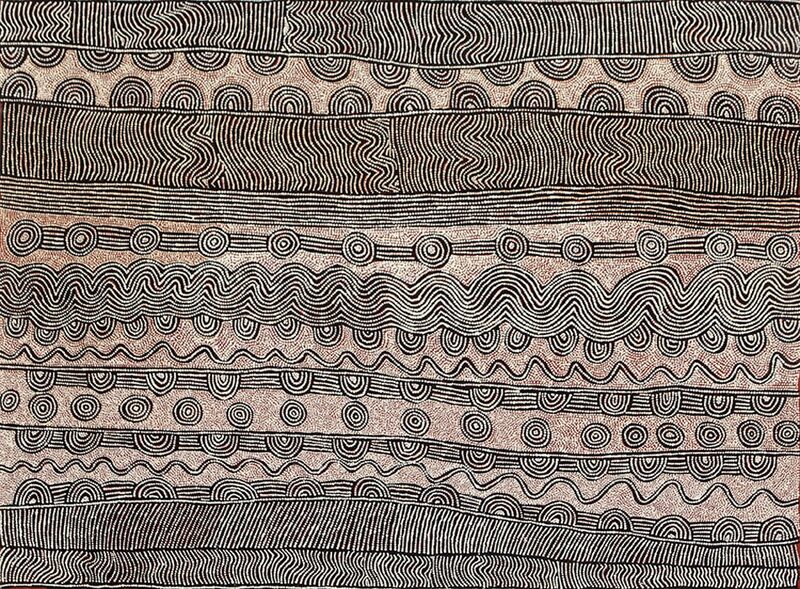 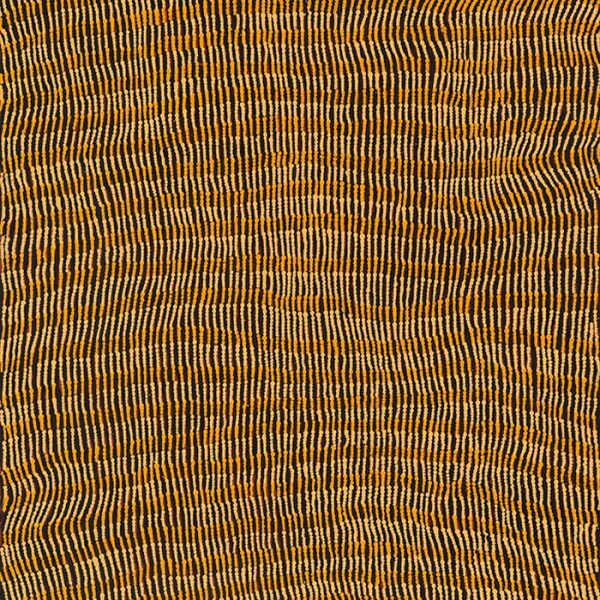 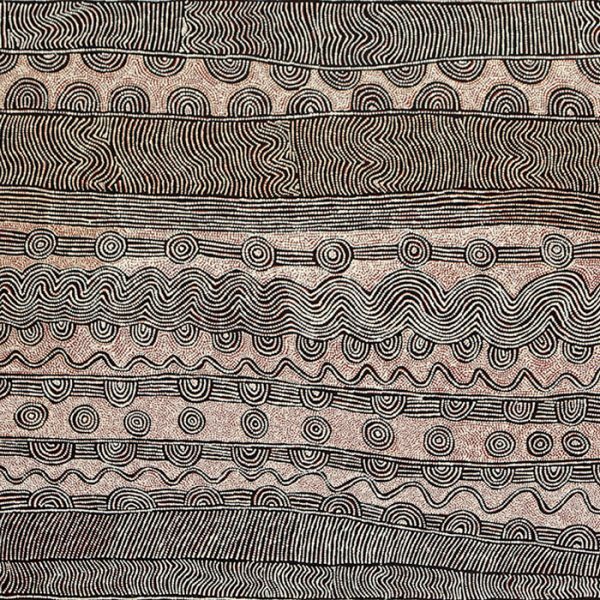 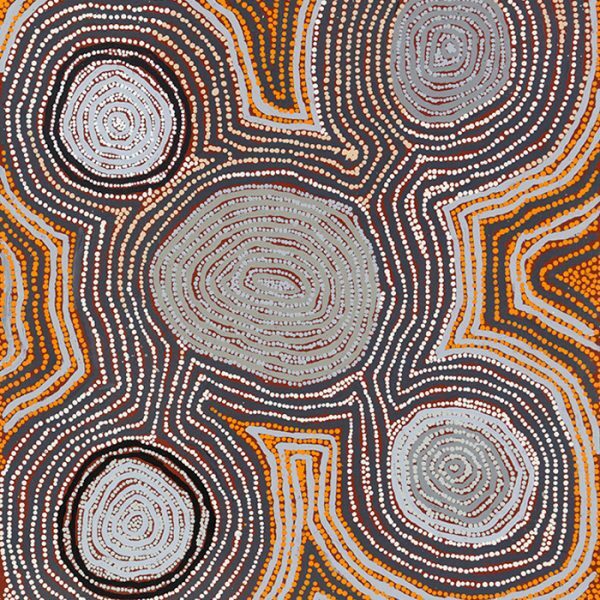 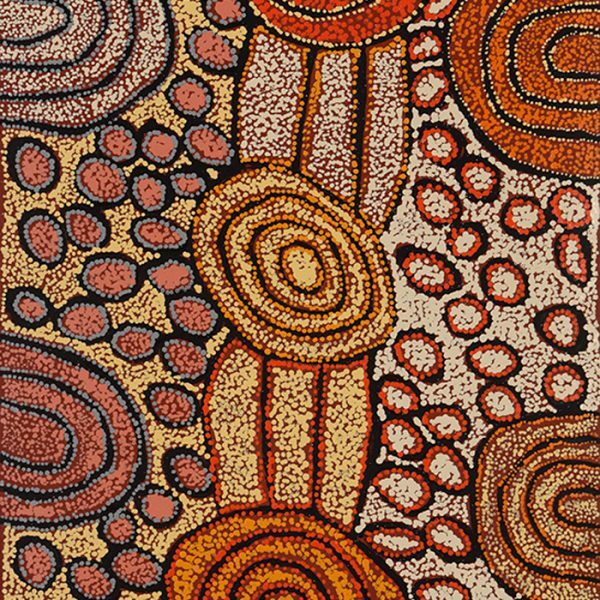 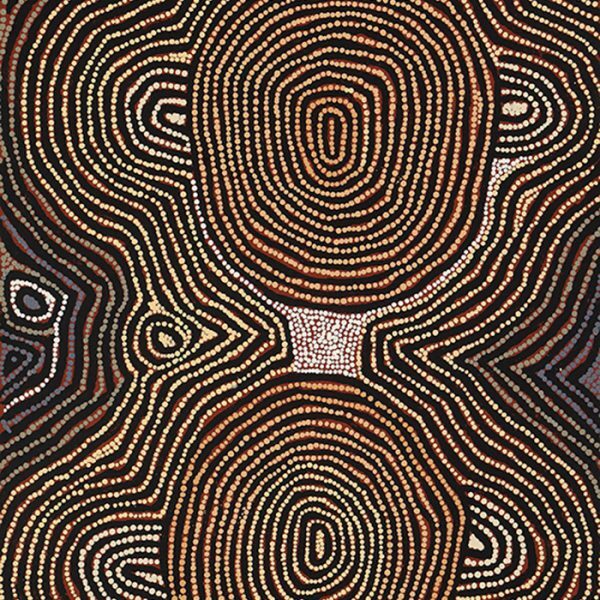 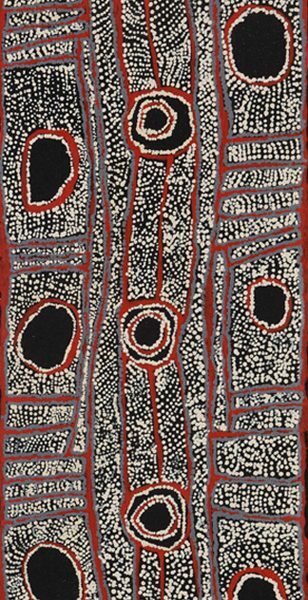 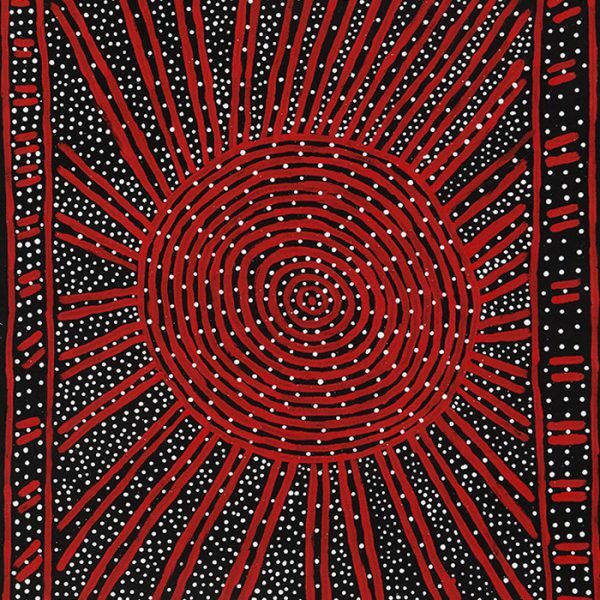 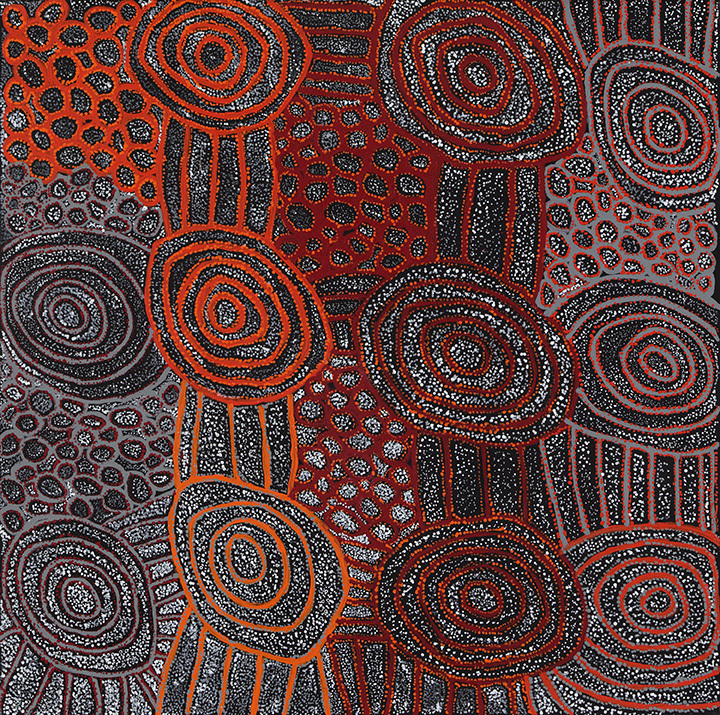 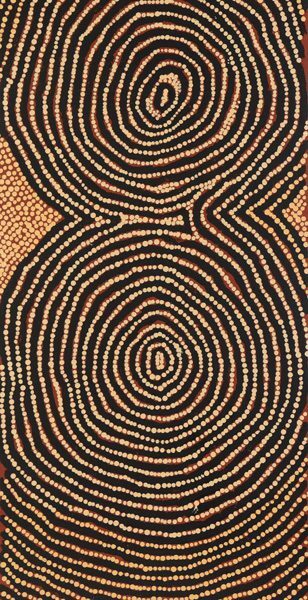 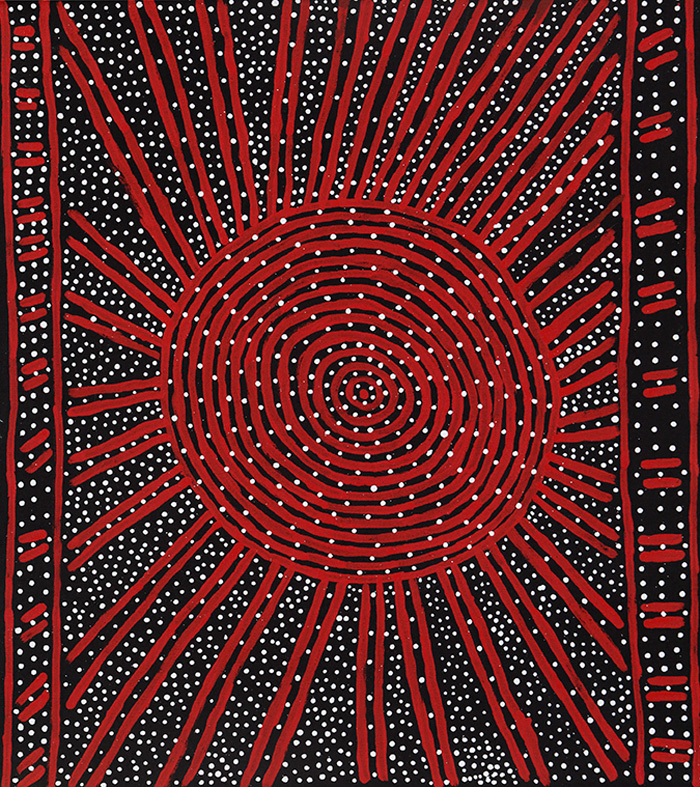 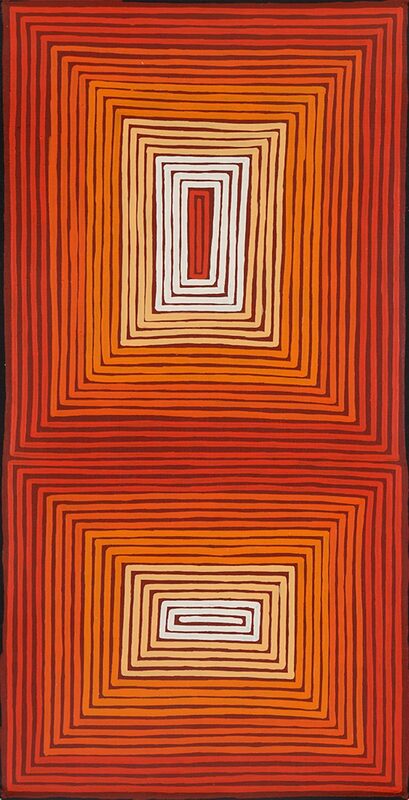 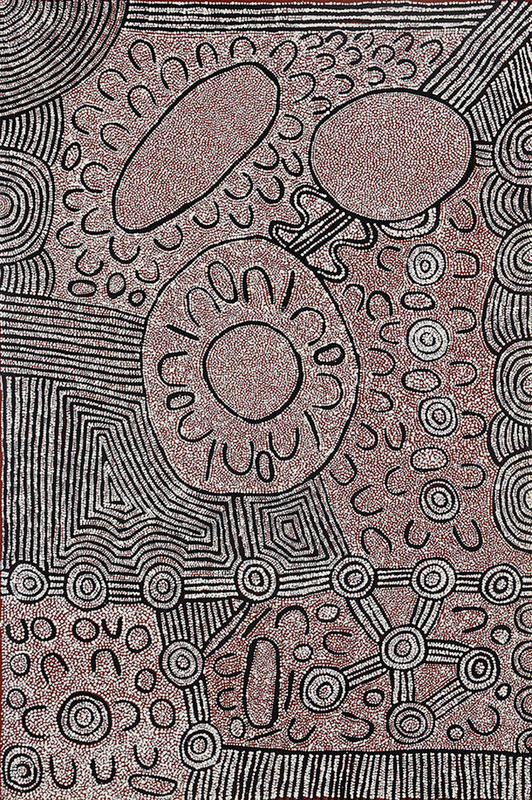 Papunya Tula Artists have become synonymous with producing distinctive renditions of ancestral stories. 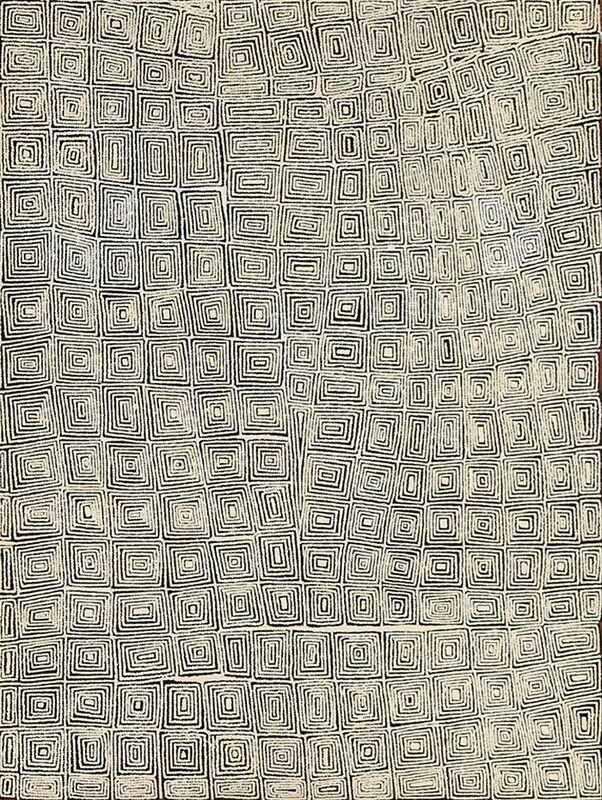 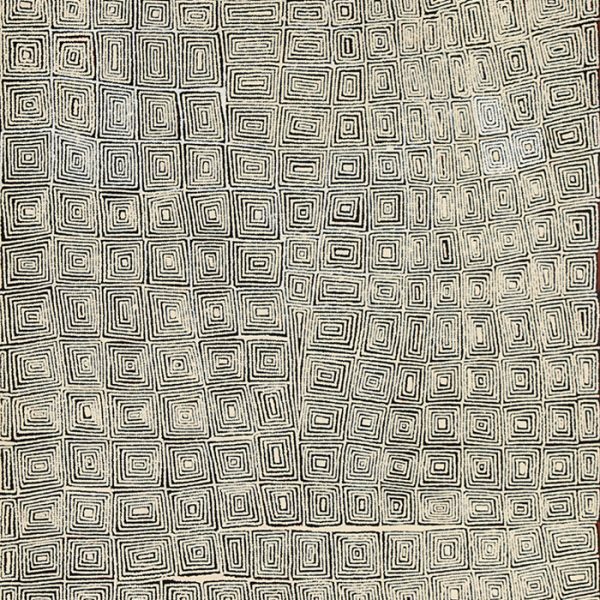 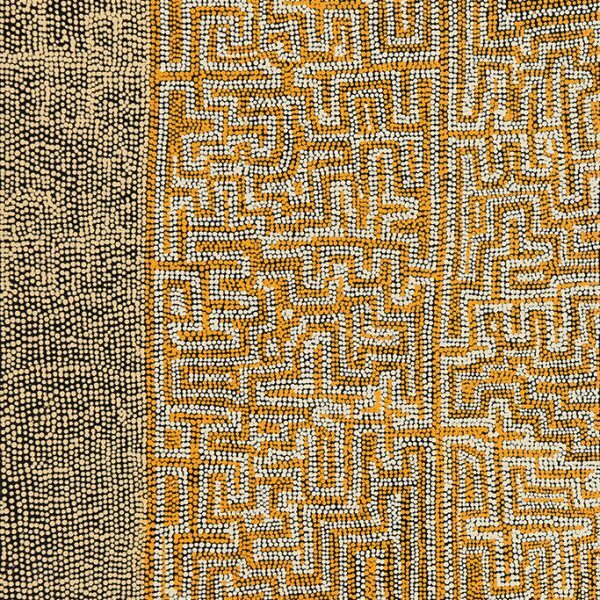 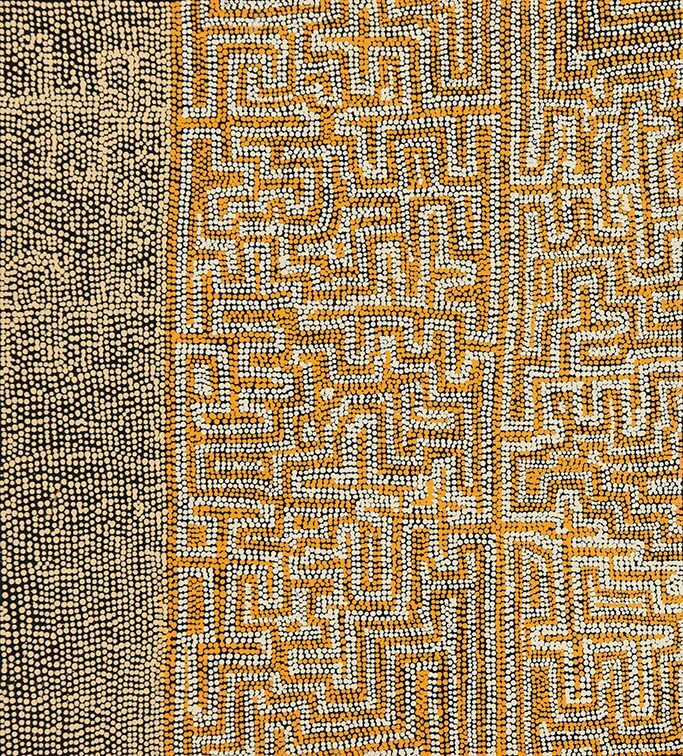 Repeating motifs reflect traditional forms and narratives while the spaces or intervals between the motifs encourage our eye to drift from one element to the next. 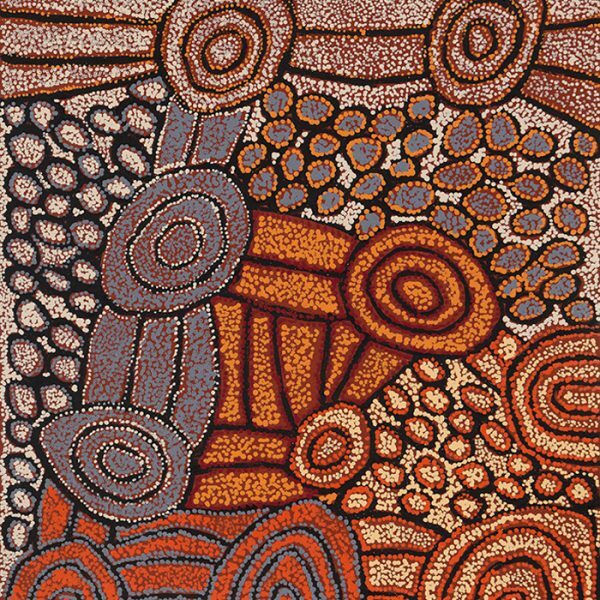 Patterns of brush stroke, colour and shape are similar to the patterns of sound over timed intervals. 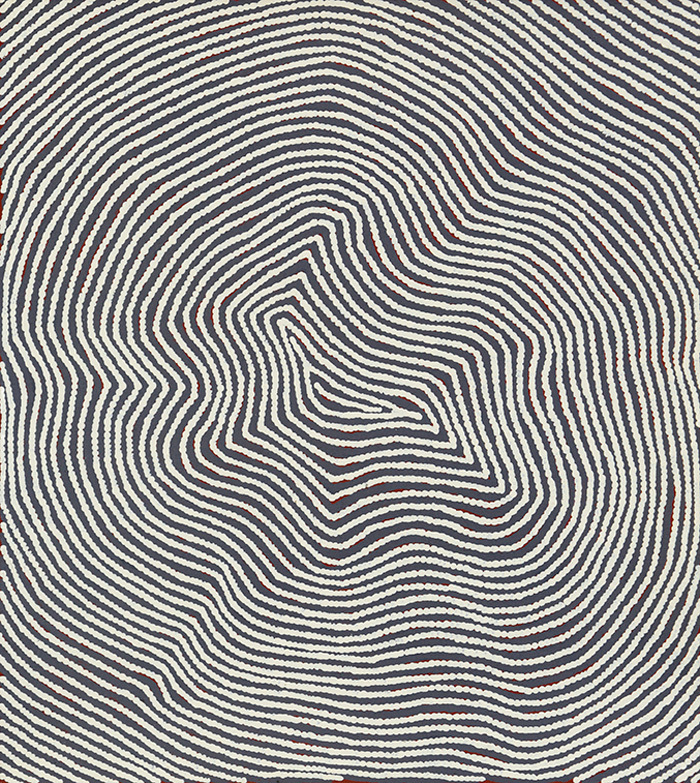 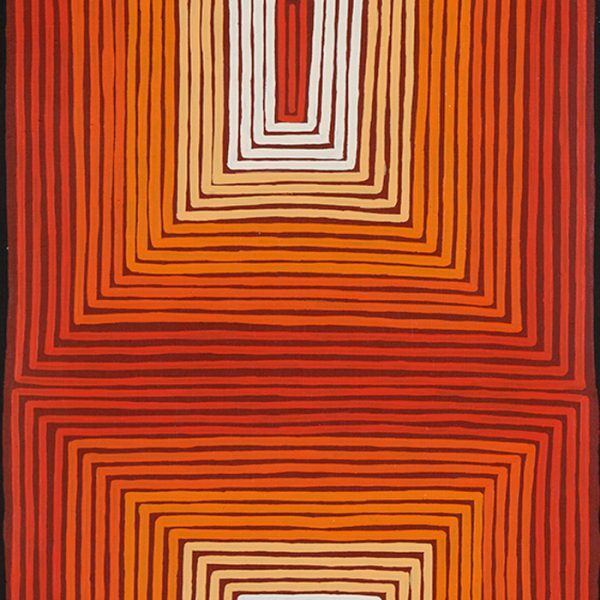 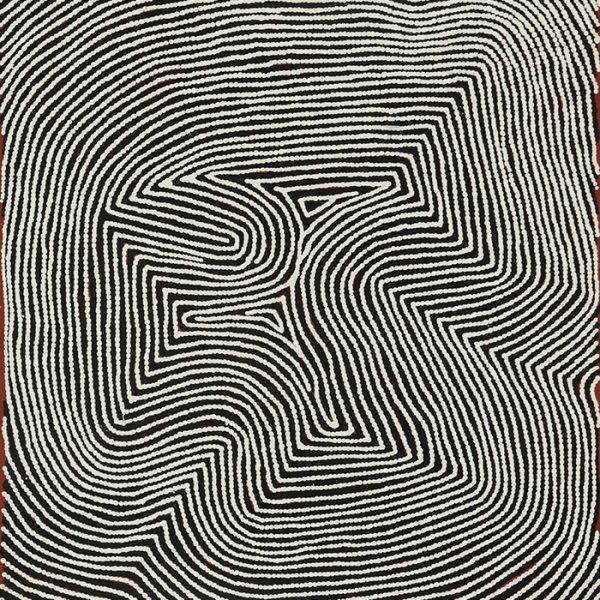 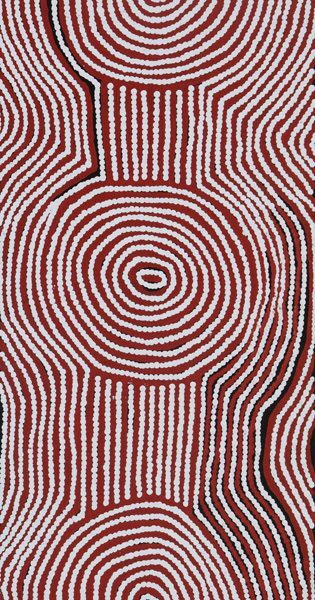 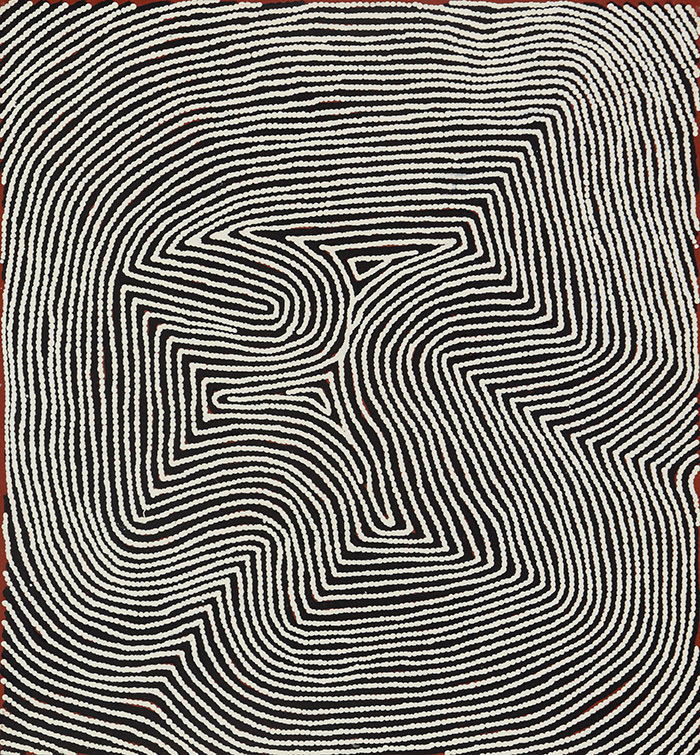 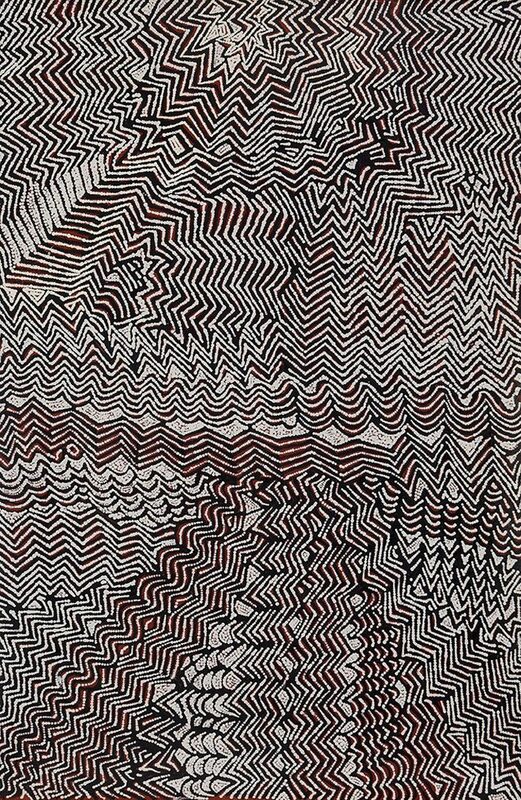 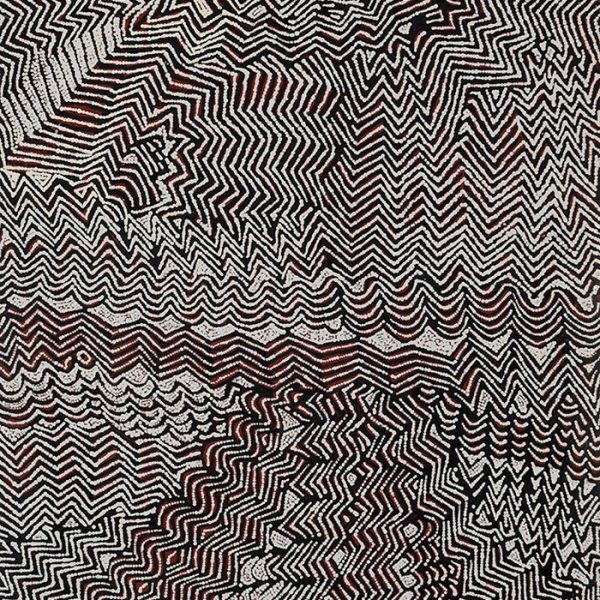 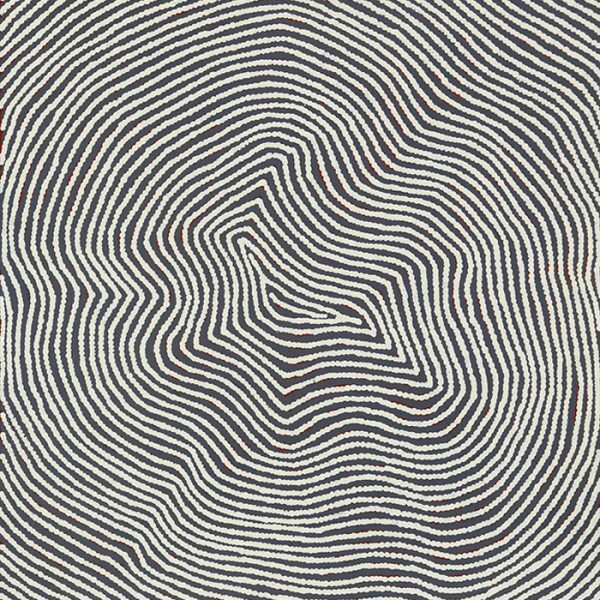 This powerful and distinct form of visual rhythm has captured the attention of Institutions and collectors the world over. 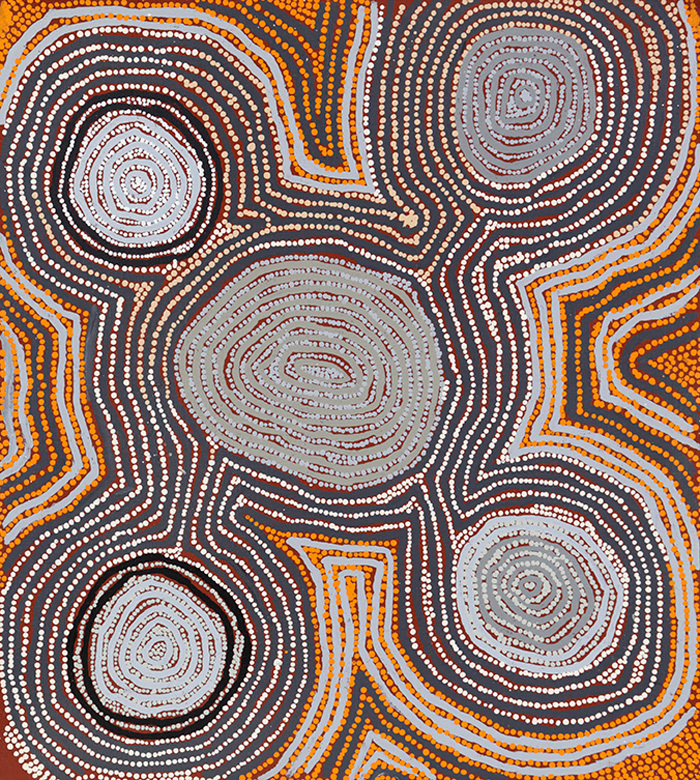 Artists showcased include Mary Napangati, Matthew West Tjupurrula, Yukultji Napangati, Ray James Tjangala, Yalti Napangati and Bobby West Tjupurrula.